As winter comes to a close, the weather will begin to heat up and encourage individuals throughout the country to venture outdoors. Since winter is synonymous with cold weather, indoor activities, and bundling up, there aren’t nearly as many exciting outdoor activities to take part in until spring arrives. 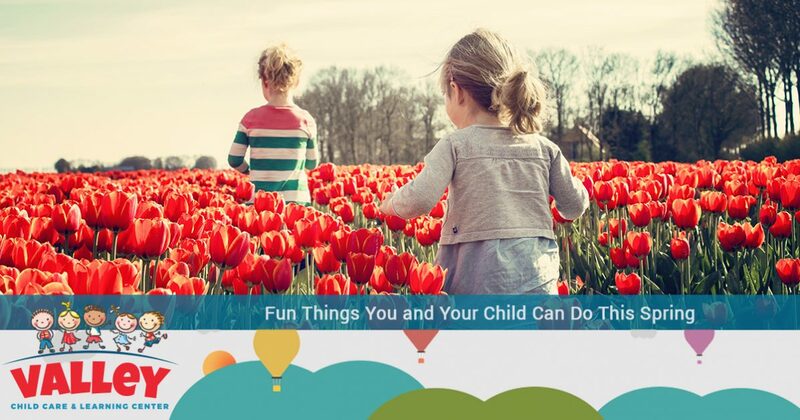 If you are looking for some of the most fun springtime activities that both you and your little one can take part in this year, you’re in luck. In today’s article, we will be discussing just a few of the most exciting arts, crafts, and games that both you and your child will love. 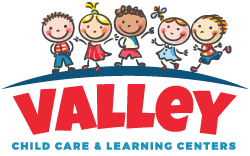 Since 1967, Valley Learning Child Care and Learning Centers has offered the top daycare services in Arizona, and we continue to do so today. With locations in areas such as Glendale, Anthem, El Mirage, Tempe, Surprise, Chandler, and Phoenix, it is easier than ever to find the best daycare in your area. Our staff of friendly and qualified professionals undergo rigorous background checks, CPR training, and so much more to ensure that your child is getting the care he or she deserves while you are at work or away from home. If you are interested in learning more about the best activities that both you and your child can participate in this spring, continue reading more below! We know that children love to express themselves through painting, drawing, sculpting, and so much more. That’s why we offer some of these classes at all of our learning centers throughout Arizona. Developing your child’s fine motor skills is essential to ensuring that they can sufficiently interface with the world around them, and can also help to refine their hand-eye coordination. If your child has an affinity for the arts, chances are good that they will enjoy painting flower pots with you on a sunny day! Clay pots are relatively affordable, and make great canvases for painting colorful works of art. This is a great time for you and your little one to interact with one another, and can help to stimulate your child’s imagination. In fact, after you and your child have finished decorating your clay flower pots, you can even pot a flower or some other type of plant within the clay pots. The process of caring for and watching a plant grow will teach your child about plant life and the gratification that comes with having a plant flourish due to continuous care. Similarly to planting a flower in a clay pot, preparing and planting a garden can be incredibly rewarding. In today’s world, it is now more important than ever for your child to understand the significance of where their food comes from and how much care is required to successfully see the fruits of your hard-earned labor. Not only will planting a springtime garden teach your kiddo about the many different kinds of fruits and vegetables that can be grown directly in your backyard, it can also be a useful way to show him or her that hard work pays off. Nothing feels quite as satisfying as picking fresh produce from your garden and placing it on your dinner table the same exact day. Instead of asking your child if they want to help you plant a garden, consider asking them to help you pick out seeds for specific fruits and veggies that he or she may want to grow. By giving your child the power of choice before planting your garden, your little one will be able to take care of their own plant and see how it responds to consistent care. This is also a great way to get your child excited to help plant your family’s garden when that day comes. If your child loves arts and crafts, such as drawing, painting, beading, and cutting shapes, then they will certainly love making a springtime collage with you! Compared to other activities, collages require minimal materials and are a cost-effective solution for encouraging your child to use their imagination. In fact, if your little one is interested in creating their own springtime collage, they’ll only need glue, scissors, and a variety of construction paper. This is an exceptional opportunity for your child to have fun while outdoors, and will encourage them to develop their motor skills while having a blast at the same time! While many children only use construction paper while creating collages, you can encourage your little one to use real objects found throughout their environment. By implementing items such as grass or leaves found around your home, you can teach your child about a variety of different plant life while he or she makes their natural work of art. Although these are only three simple activities that you and your kiddo can take part in this springtime, the opportunities are truly endless. Putting down electronics and opting outside can teach your child the significance of nature while naturally developing their social, cognitive, emotional, and physical abilities without the use of computers or televisions. If you are interested in learning about some of the fun activities that children enjoy at our 10 unique child care and learning centers, don’t hesitate to reach out to our staff members today! We work hard to respond to all inquiries in timely manner, and offer free tours of our facilities for all of our prospective parents that want the best for their little one. Contact us today to get started!